1. Display multiple opt-in forms. One of the biggest mistakes you can make when building your email list is to assume people will find your opt-in form. Give them a variety of ways to find your forms, or you’ll lose opportunities to grow your list. For example, you can show the same offer on the same page or on different pages throughout your site. You can also display different offers on the same page or on different pages using page-level targeting techniques. You can also consider using a welcome mat form, a sidebar form, an exit-intent pop-up form, and an inline form in your blog posts. 2. Use calls to action (CTAs) to guide visitors to your opt-in forms. Sometimes, you won’t be able to include a full opt-in form in certain areas of your website. Instead, you can use CTAs that guide visitors to your opt-in forms. For example, include a link with a CTA next to the submit button within the comment area of your blog posts. Add a CTA in your blog or website header as well as to your social media pages and profiles. You can even add a sign-up button to your Facebook Page. Don’t be afraid to ask your existing customers and email subscribers to share your opt-in form link with other people. After someone submits your opt-in form, create a strong call to action displayed on your thank-you page or confirmation email asking them to invite their friends to subscribe to your newsletter or download your lead magnet, too. One of the most effective places to include an opt-in call to action message for ecommerce businesses is on the customer’s shopping cart page. Here, they’re already engaged with your brand, so it’s the perfect time to invite them to subscribe to your list. But don’t stop there. You should also include an opt-in call to action in your abandoned shopping cart campaigns. Even if someone isn’t ready to make a purchase (and hopefully, you can change that person’s mind with abandoned cart email campaigns), they might be ready to download your free lead magnet. Once they’re on your list, you can continue to engage with them via email to try to convert them from a lead to a customer. 3. Offer options. If your offer exceeds your audience’s needs, you might have to offer different options to boost conversions. For example, if visitors are promised a daily email newsletter when they submit your opt-in form, that might equate to too much email for some people. If your email marketing provider and opt-in form tool allow it, offer multiple subscription offers, such as daily, weekly, or monthly. Another example involves allowing visitors to choose not just the frequency of communications they’ll receive from you but also the types of messages they’ll receive. You can offer options to receive informational or promotional content, as well as options to receive messages related to specific topics. A health coach might offer options to receive content only about weight loss, exercise, recipes, or low-cholesterol diet tips. Assuming the health coach publishes enough content to fill all these topics, giving people this type of choice not only makes them happier but also allows the coach to segment the audience. If the coach knows that only some audience members are interested in weight loss, then promotional content related to weight-loss products can go directly to those people in the future. 4. Segment your audience and offer lead magnet choices. You can also segment your audience by offering lead magnet choices. For example, a pop-up opt-in form that appears when someone visits a specific page on your website could give people a choice to download one of two ebooks on topics relevant to the page topic but different from each other. 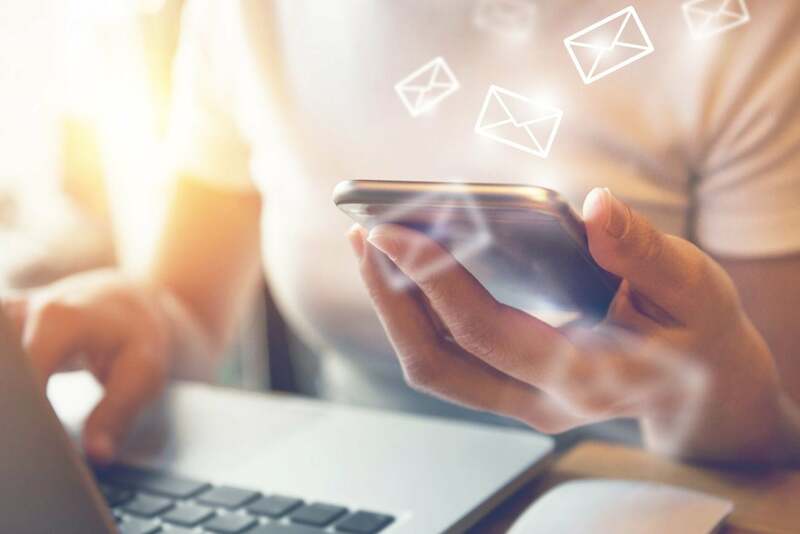 A follow-up email marketing campaign could include a link to download the second ebook as well, but based on the visitor’s choice when they submitted the form, you can segment that person using a specific interest. This is valuable information for future email marketing.